IAT 18 – Key Workbook Exercises Video Download is the 18th video from the AASAT Intimacy Anorexia Training Course. 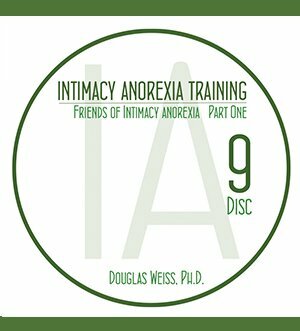 It notes the ten key exercises for intimacy anorexia treatment. 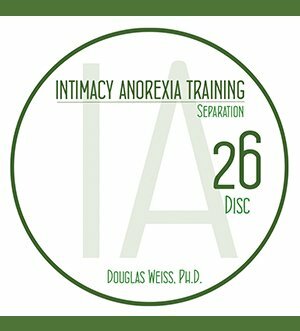 IAT 18 – Key Workbook Exercises Video Download is the 18th video from the AASAT Intimacy Anorexia Training Course. It notes the ten key exercises for intimacy anorexia treatment. Dr. Weiss tells you why these exercises are important. They include: 1. Carrying Them, 2. Gift of Pain, 3. Married to Themselves, 4. Powerless, 5 Trying Harder, 6. Affirmations, 7. Consequences, 8. Acting In Checklist, 9. The 5 C’s, and 10. Daily Checklist. This is a downloadable video.